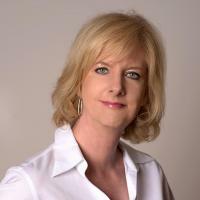 Marlene Williamson is the Chief Executive Officer and Board Director of Watermark, an executive leadership organization focused on the value of gender diversity to drive economic growth in business. Previously Marlene was Chief Marketing Officer of a number of technology companies including Alfresco, BigMachines (sold to Oracle) and Hitachi Global Storage Technologies (sold to Western Digital). Prior to joining Hitachi, Marlene was vice president of global marketing for Ericsson. She has held vice president of marketing roles at Symantec, IBM, Polycom and Acer. Earlier in her career, she led global consumer marketing at Apple. She has been named Marketer of the Year by the American Marketing Association, Partner of the Year by Yahoo, Innovator of the Year by Google, Outstanding Female Executive in Silicon Valley by the YWCA, a Woman of Influence in Silicon Valley by the San Jose Business Journal and a Woman Who Has Made Her Mark by Watermark. She is a board advisor for several technology companies. Marlene is a former board member of the CMO Council and the Association for Corporate Growth. She is certified in corporate governance from Harvard, is a graduate of Northwestern University’s Executive Marketing Program, holds an MBA from DePaul University and is a frequent international speaker on gender diversity and high tech marketing issues.